The pig lives in a house in the middle of the wild wood. But inside the wild wood there’s a bad wolf – and this hungry wolf wants a little pig for dinner! But a house made of bricks is hard to blow down, so instead of gobbling Pig, Wolf moves to plan B: gobbling Red Riding Hood’s poor defenceless grandma! But his despicable plan is soon uncovered and Pig decides to rescue Gran! Will this plucky pig make it in time? A fabulously funny twist on two classic fairy tales: Little Red Riding Hood and The Three Little Pigs. 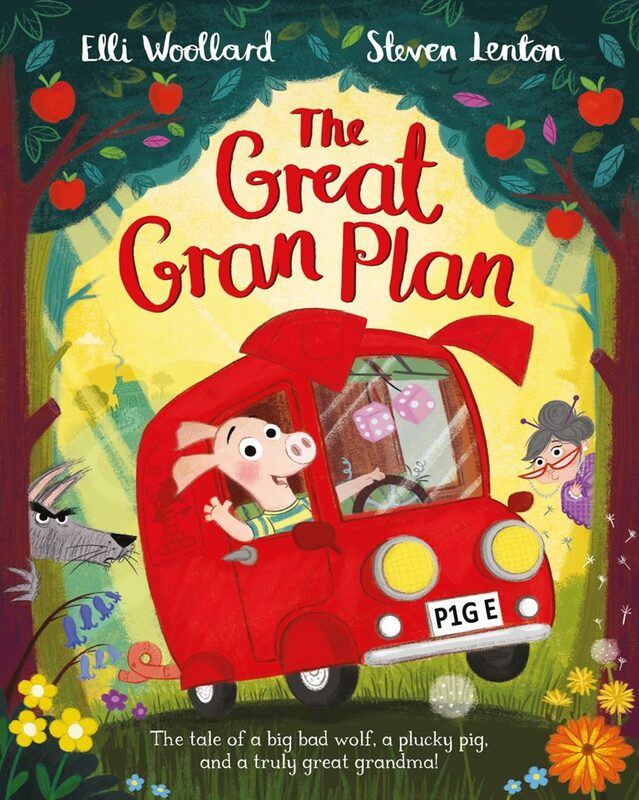 The Great Gran Plan is the first book by an exciting picture book pairing: the uniquely talented author and poet, Elli Woollard and best-selling illustrator, Steven Lenton.